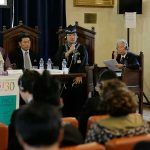 The Europe Chapter of the Tenrikyo Young Men’s Association (TYMA) celebrated its 30th anniversary with a commemoration convention held on September 12 at Tenrikyo Europe Centre. A total of 91 people from across Europe gathered for the event, which was also attended by TYMA President Daisuke Nakayama. President Nakayama gave an address on the mission of TYMA members as “Arakitoryo” (pioneers of the path) and requested those in attendance to contribute additional efforts toward spreading the fragrance and engaging in salvation work in the remaining months until the 130th Anniversary of Oyasama (Jan. 26, 2016). 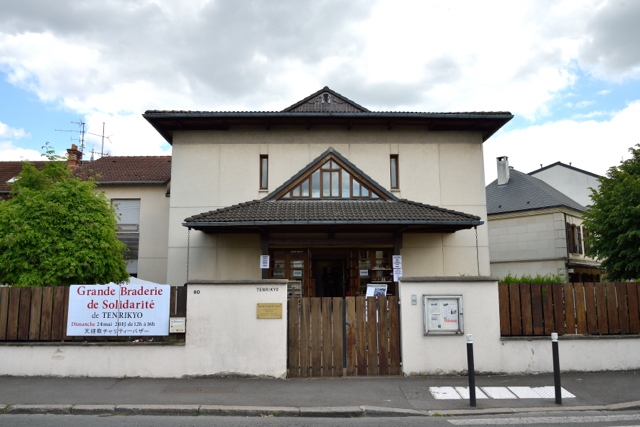 The 30th Tenrikyo Europe Gathering was held on the following day, the 13th. On the evening of September 8, representatives from each participating religious tradition conducted Prayers for Peace at various locations in the city of Tirana. Tenrikyo delegates were joined by two members of the Tenrikyo Overseas Department and performed the seated service and Twelve Songs in front of a museum to the accompaniment of a few Narimono. 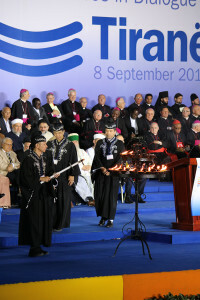 At the final ceremony, Rev. 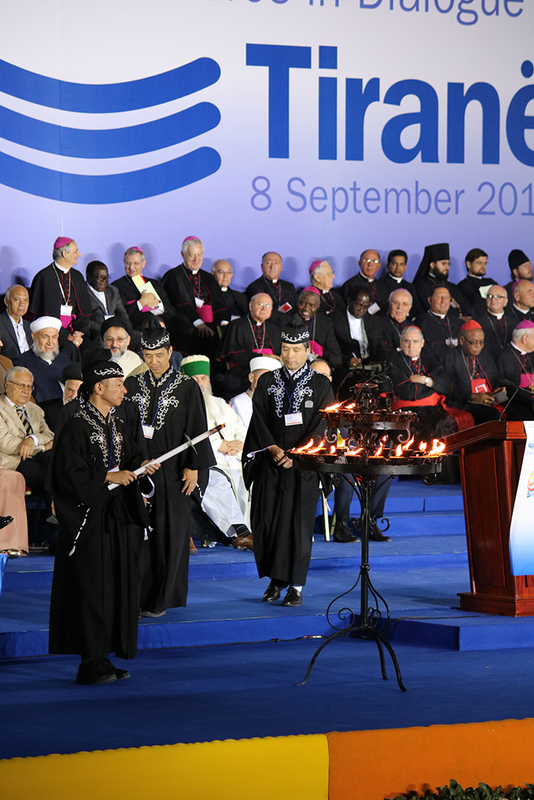 Nagao and his fellow delegates lit a candle symbolizing peace with other representatives of other religions and offered prayers for the realization of a peaceful world free from conflict.